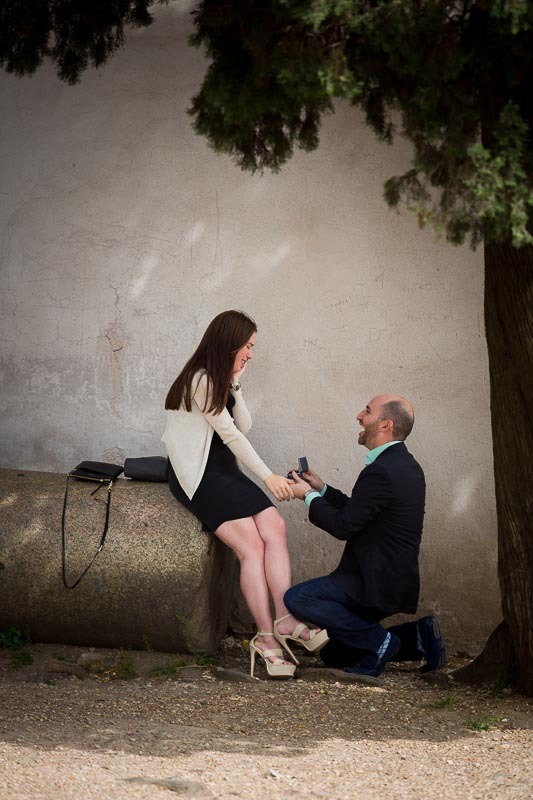 There is no better place than to ask the big question in front of the ancient roman skyline in Parco del Pincio. The view is really one of a kind. As I was leading the way to the terrace, I stopped to take a few pictures. This as to make it look like I am a just another photographer interested in the view. And a good one came out which I’ve included in the post. 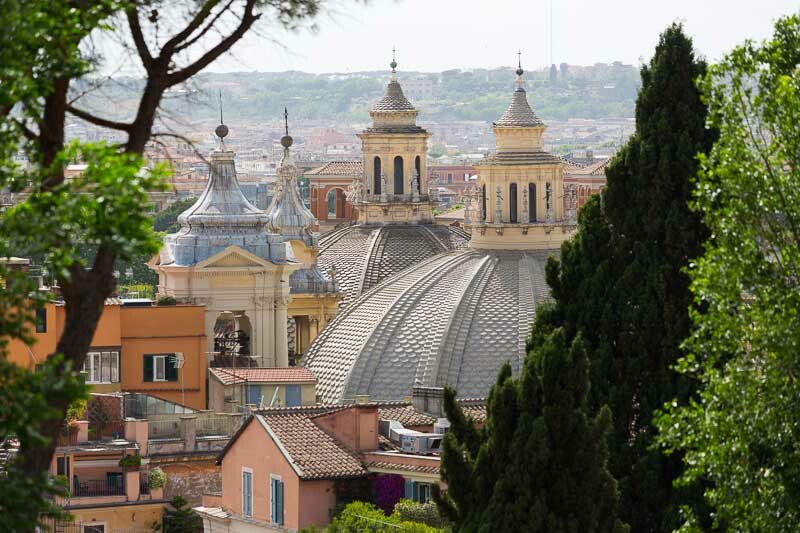 It has an unusual prospective of the twin churches found down in Piazza del Popolo. 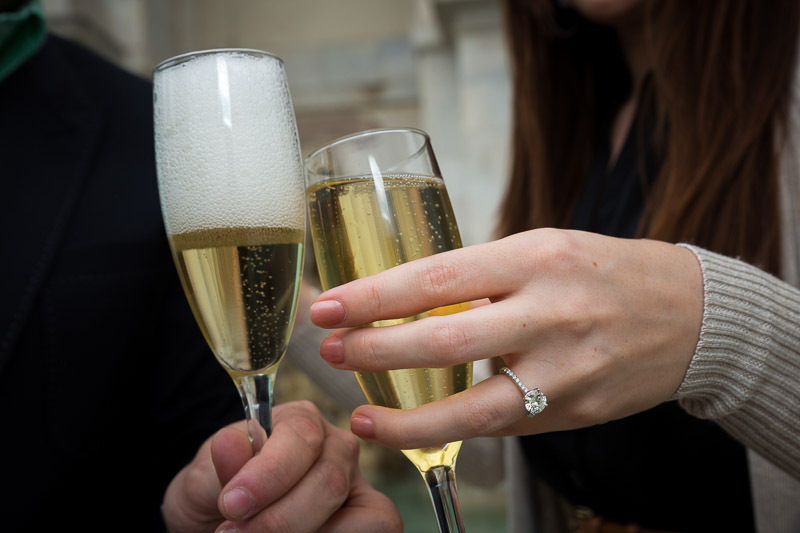 There was some a number of people standing in around where we had planned the proposal. So after waiting a little bit the position changed to a more intimate spot. I readjusted my view and was ready for the right moment. And this came with wonderful surprise and joy! After a little I came forward and we introduced ourselves. A car was waiting for us to continue the session with some more engagement photos. We walked around a little bit in the area capturing some more nice pictures here and there. Then we hopped into a car which took us on a ride around the city of Rome. We headed first to Saint Peter’s square with the idea of taking some photos underneath the colonnade. There are some really nice geometries which can be included as backgrounds. The next stop was the Gianicolo water fountain where the celebration continued! 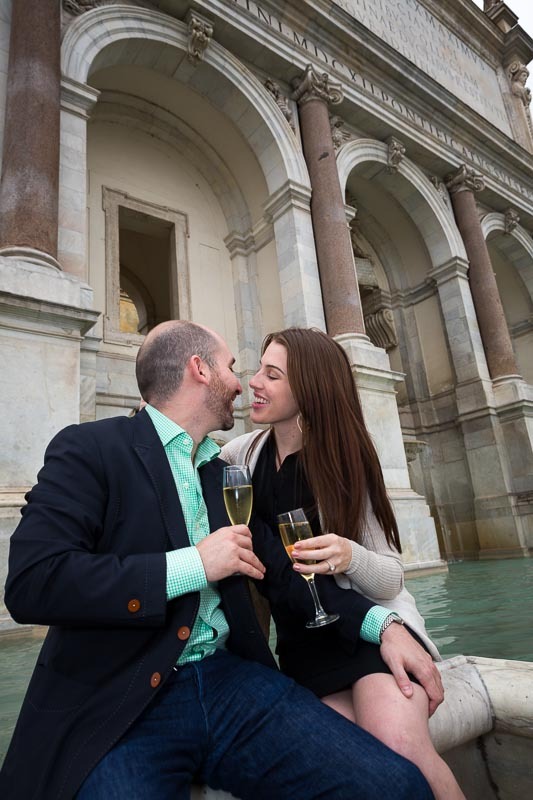 We popped opened a fresh bottle to celebrate in front of the Fontanone fountain. After a few toasts, we took some nice images right underneath the impressive monument next to the water. Then we crossed the street and took seat on a marble bench. I photographed from afar framing in the view with the wonderful cityscape behind. Our last stop was the Colosseum where moved to a lateral position to avoid the works that are currently undergoing on one side. Thank you and wish you all the best! 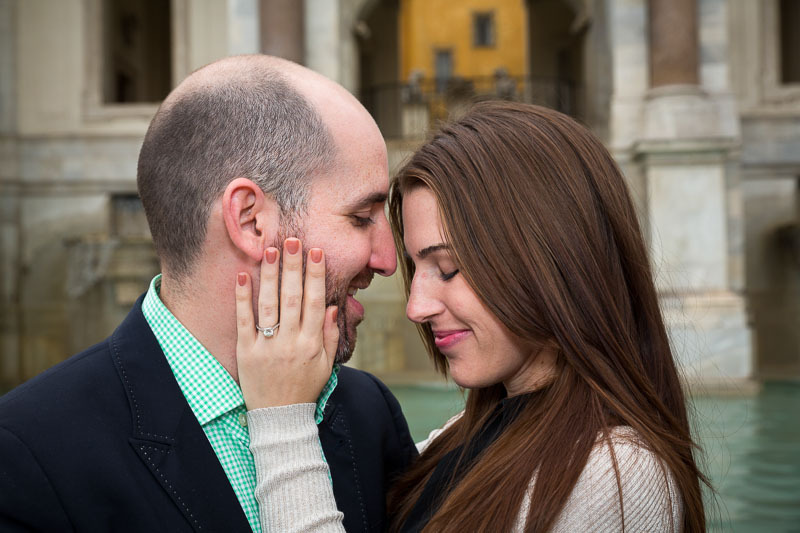 Marriage proposal at the Trevi fountain followed by a beautiful walk around the city for the e-session. 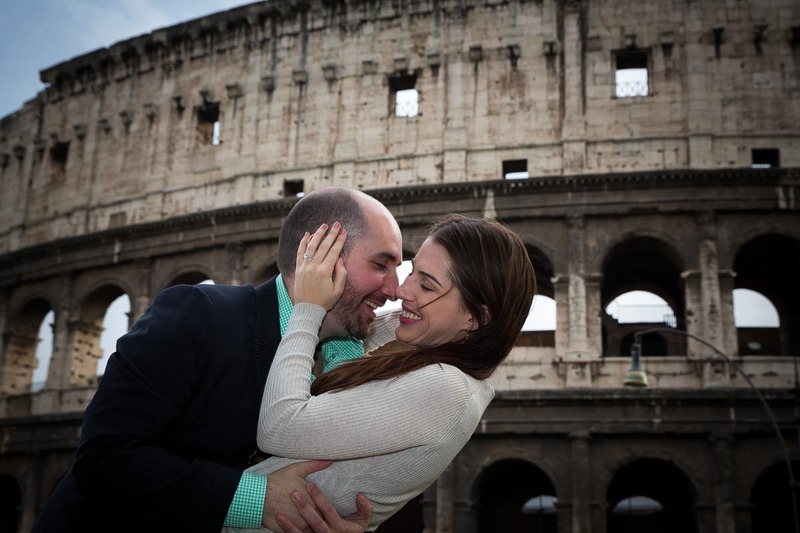 An off the beaten track proposal in the outskirts or Rome. 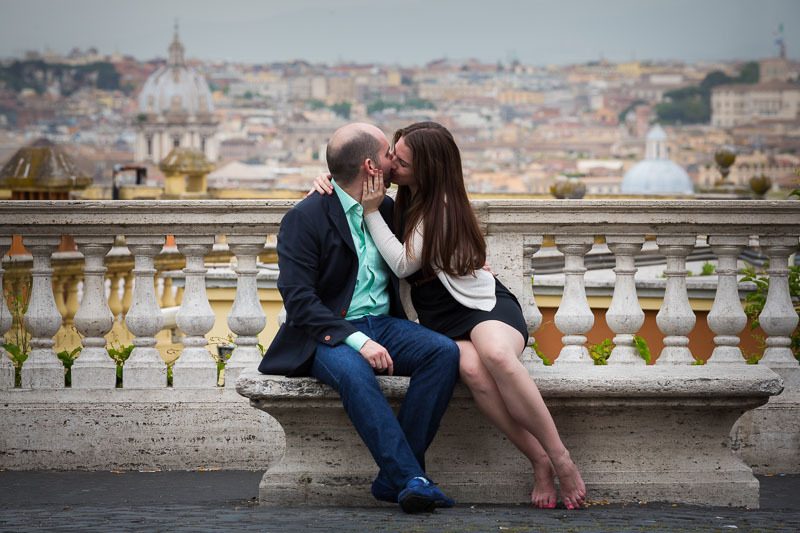 A secret marriage proposal at Pincio Park in Rome followed by a romantic engagement love story around the city by car. Celebrating with a fresh bottle of fine champagne.